I have seen lots of Users asking about the 3G Network Coverage area before buying MTNL 3G Data Card so here I am providing you with full details about MTNL 3G Network Coverage across India.When we talk about MTNL the first thing that comes in our mind is that their services are available to only Delhi and Mumbai but if you are having MTNL 3G Data card then you never need to worry about the Network Coverage since after Collaboration with BSNL MTNL Provides Widespread 3G Enabled Network Coverage across the Country which means that you can access Internet anywhere anytime in the Country.Latest MTNL 3G Data Card Plans 2013 Prepaid and Postpaid Both. No Extra Internet Data Roaming Charges. Cheapest 3G Internet Data Plans. Widespread 3G Enabled Network Coverage. 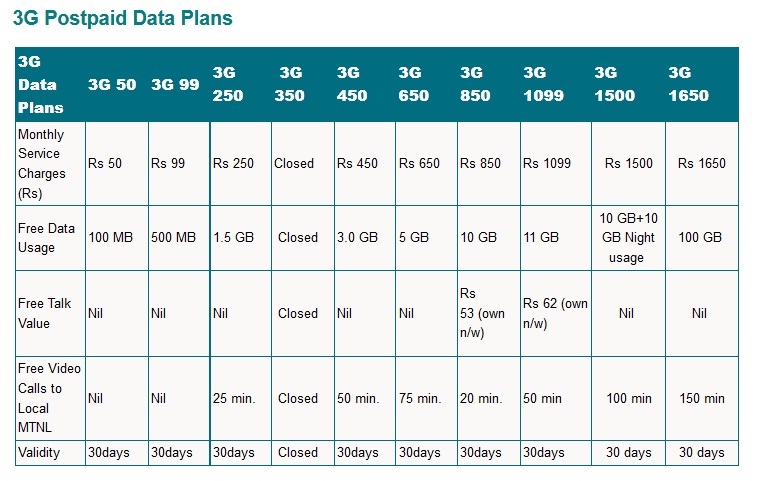 MTNL is Offering Promotional 3G Internet Plans for new Customers at just Rs 1200 with MTNL 3G Jadoo Data Card with 15 GB Bundled Data Usage free for one Month but it is Valid for only New Prepaid Connection. MTNL 3G Data Service is Just Awesome with No connection dropouts,24/7 Internet Facility available,Best and Cheapest 3G Data Plans.If You are Planning to Buy a New MTNL 3G Jadoo Data Card then I will Recommend You to Buy a Micromax Dongle which will work for all Sim cards i.e Airtel,MTNL,Idea,Vodafone etc and thereafter Purchasing a New MTNL 3G Sim from your Nearest MTNL Sanchaar Haat Office.Though if you Buy Micromax Dongle you will not get any promotional offer but still it is the best option for you which provides speed upto 7.2 Mbps and Get a Recharge of Rs 76 which provides you 1GB 3G Data for 1 week. Google Nexus 6P Vs Google Nexus 6 – What’s the Difference?